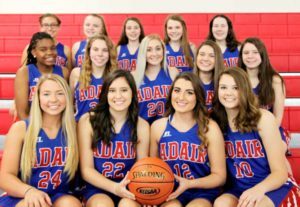 The Adair County Lady Indians took on Scott High School in the opening game of the Kentucky 2A state tournament in Owensboro. Scott defeated the Lady Indians with a score of 63-32. This is the first time the Lady Indians played in that state tournament. The community is proud and stands behind our team!